The owner had 21 animals, including dogs, cats, turtles and a tortoise. 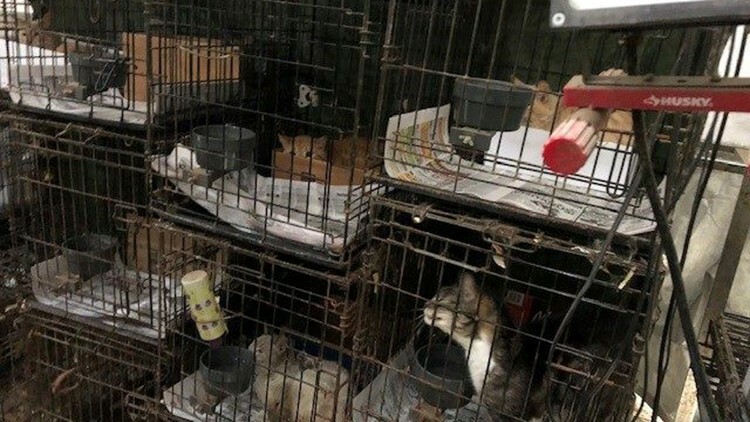 HOUSTON — Twenty-one animals were taken from a home near Jersey Village Monday after an eight-month long animal cruelty investigation. 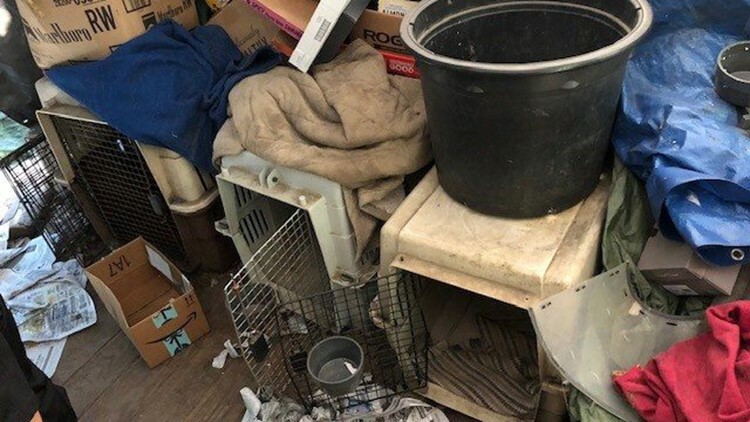 Investigators have been working with the owner of the home, located in the 8300 block of Wind Veil Drive, since last August when they first learned of the animals living in cluttered and unhealthy conditions. Precinct One deputies smelled a strong odor of ammonia when they first walked inside the home and found piles of animal feces that were inches deep. Seven dogs, 10 cats, three turtles and one tortoise were seized from the home. Several of the dogs and cats were forced to live in small crates outside. Investigators said this is a case of animal hoarding. It is being investigated as animal cruelty and has been forwarded to the Harris County District Attorney’s office for prosecution. A hearing on the seizure of the animals is scheduled for April 23 at the Harris County Courthouse at 1302 Preston St.